Here's the Dina II fresh out of the workshop, quite different from the MkI. 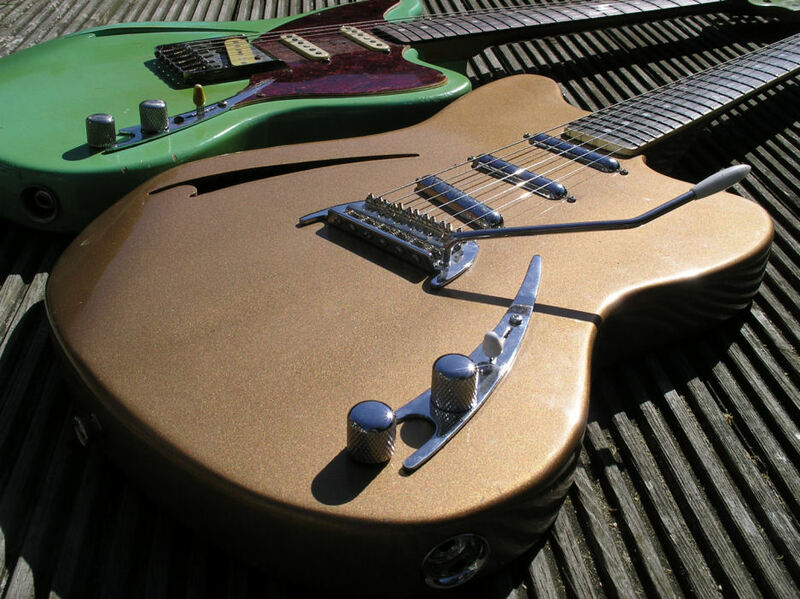 I'd always wanted to try out a Gibson style goldtop finish the way it was applied originaly, quite different from metallic paints that are available nowadays, the original Gibson method which I copied was to use metal powder which is a genuine incredibly finely ground metal and a mixture of bronze and zinc to get the correct shade of gold then mix it in with clear lacquer, as a note being metal that is why old Gibson goldtops age to a green colour. After making all the effort to recreate a goldtop I wanted to show it off and not use a pickguard so had to mount the pickups from the top using some fancy technique. 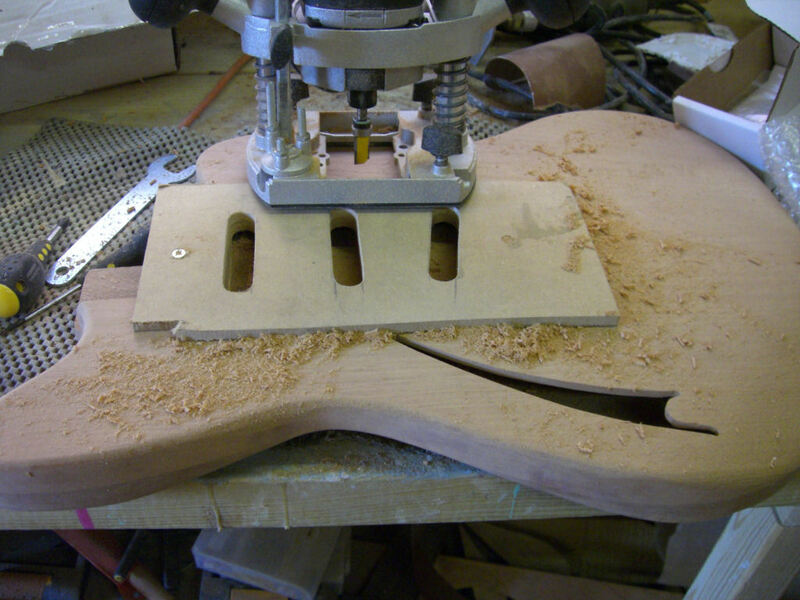 In order to keep the top looking clean I decided to use a Strat style tremolo bridge. 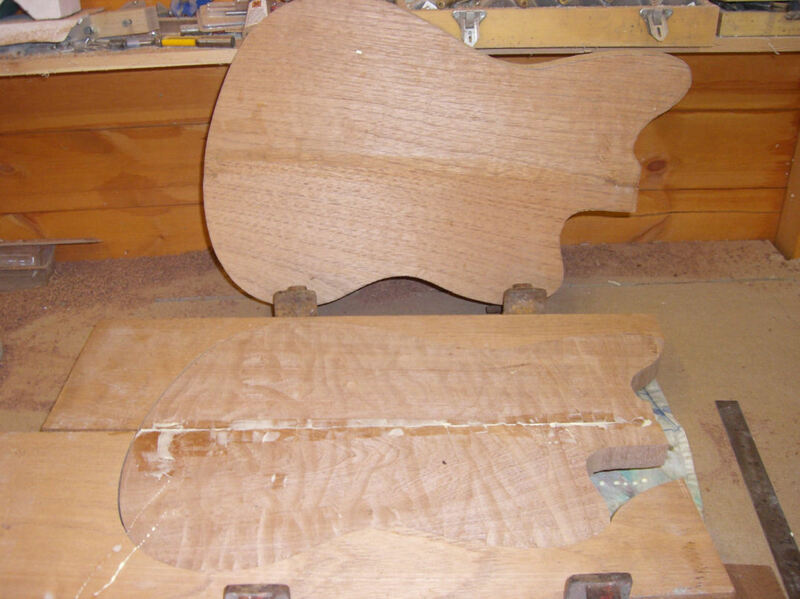 As I was going for a Gibson style finish I decided to build the body and neck in mahogany and a bound ebony fretboard. 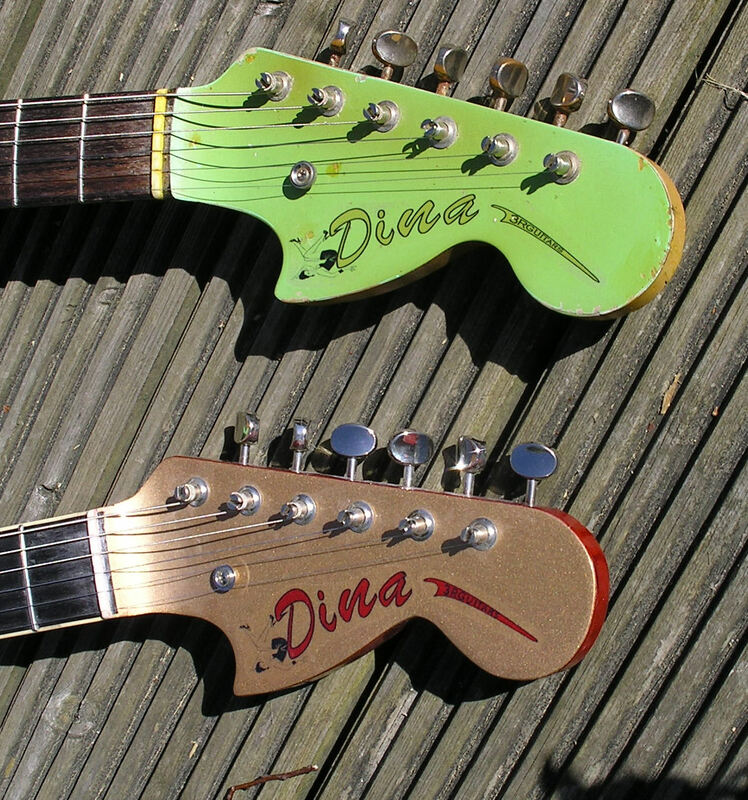 The top and back of the body in early stages of construction, the Dina Mk I was built with a poplar body and maple neck. 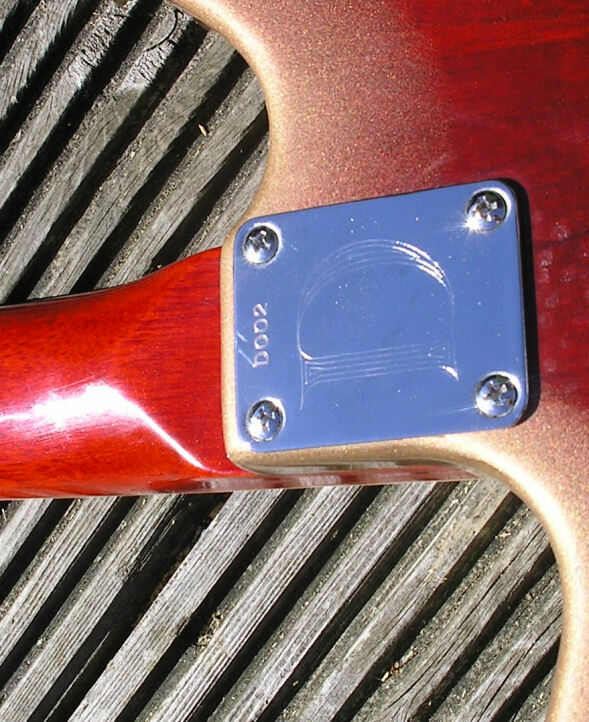 for the MkII I decided to use mahogany just to see what the difference in tone would be, also this guitar has a few Gibson design traits so I decided to go with mahogany and I thought that the gold and red colour scheme would be quite striking. 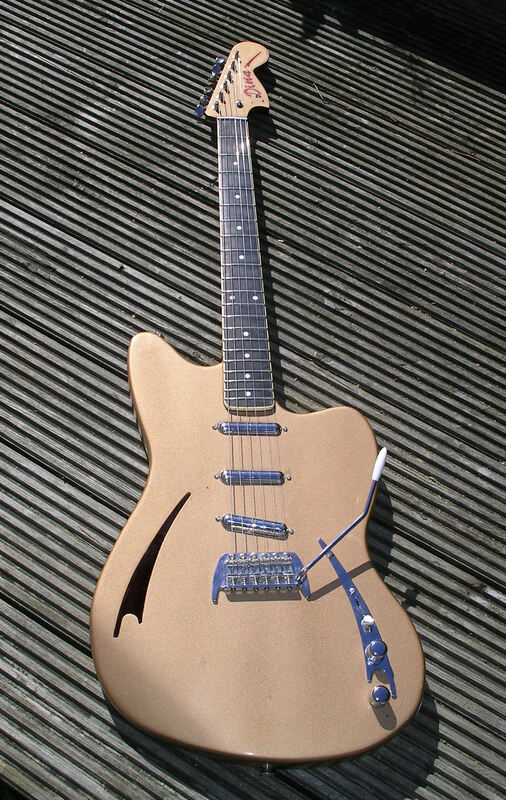 Inside the top and back, I decided that the pickups were going to be mounted from the top and it was at this time that a friend suggested lipstick tube pickups FANTASTIC idea as I knew they would look streamlined and great against the gold which was exactly the look I wanted. 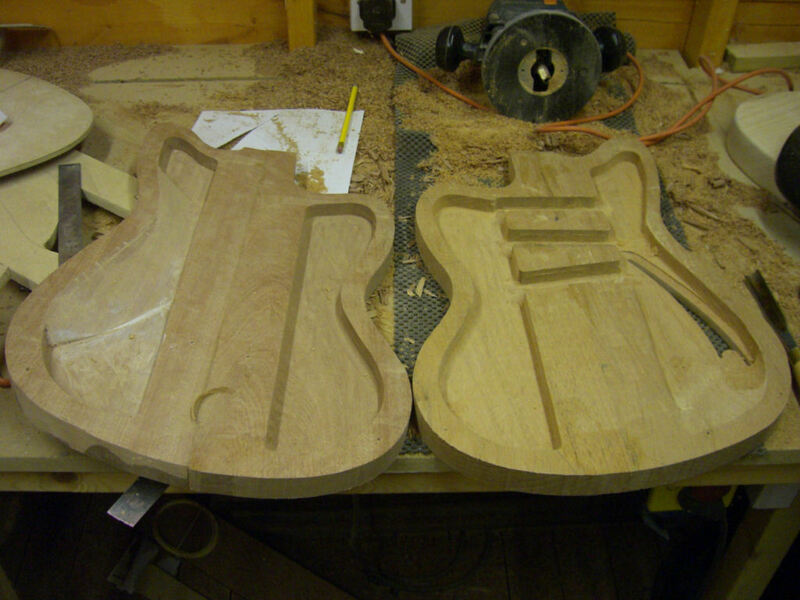 Routing the pickup holes, unfortunately there's not such a great choice of lipstick tubes but GFS seems to be the favoured type so I went for those, having got them I could make a template to route an exact set of holes. A close up of the body, the paint is very sparkly which I really like, also I modified the bridge plate to include the shaped ends which match the "F" hole and control plate. The two together although from the same "mould" they are quite different. 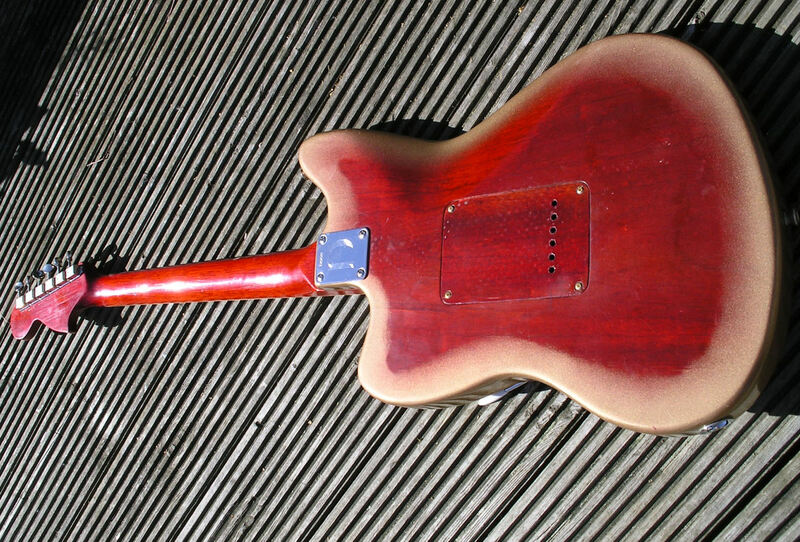 There's nothing unusual about the neck construction, I decided to go for a bound neck to kind of keep the Gibson look so to speak and I think it goes well with the gold, it also has a flatter radius fretboad which gives it a very low action. 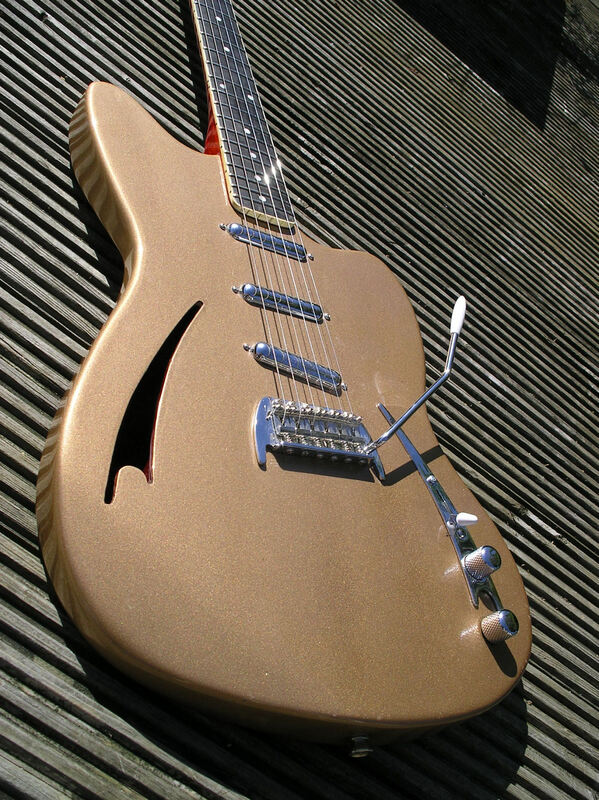 Finish : Goldtop style produced with metal powder mixed with the lacquer all nitro cellulose, although not relic'd the guitar has a very nice vintage patina. 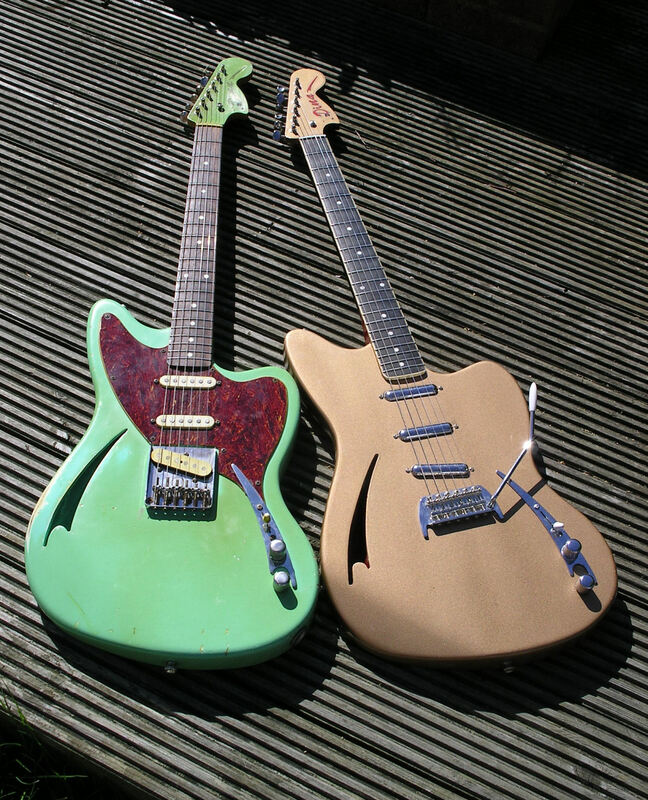 The guitar plays really well with a very low action and has a VERY vibrant bright tone.